We’re pleased to announce that Williams Thompson is sponsoring the Accept My Autism campaign this April. Having supported Autism Wessex for over 6 years, Williams Thompson has a close relationship with the charity, and campaigns such as Accept My Autism are vital for the work they do for charities. It could be simple. A dress down day? Cake and coffee morning? You can do anything you want to raise money. Just choose a date and let Autism Wessex know by emailing fundraising@autismwessex.org.uk. It’s not just limited to one person either – why not try some corporate fundraising at work? 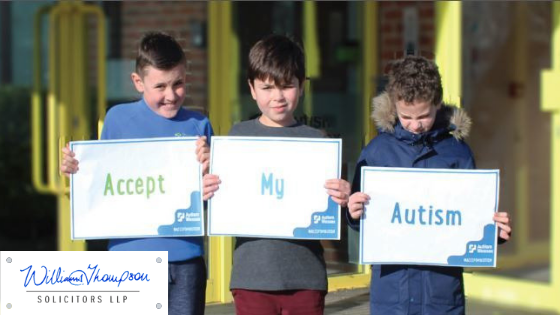 As well as raising funds for the charity, the Accept My Autism campaign aims to invite people with autism to share their thoughts on what others can do to create an open and accepting community for people with autism.